Ask anyone at Boardwalk’s Best, and they’ll be happy to tell you everything they love about the Wildwood Community. When it comes to being a part of a community that feels more like a family than just a town, you know you’re in a great place. Here are a few reasons we love being a part of the Wildwoods. It doesn’t matter if you’re looking for something casual, or a little fancier, because you’re sure to find either in the Wildwoods. Our traditional seafood fare can be enjoyed with a view of the ocean, or grab a pizza with the family that’s right on the exciting boardwalk. Whatever you decide, you’ll be able to find something that everyone will enjoy. If you feel like you don’t have enough time at the end of your vacation to enjoy all the fun activities you planned to do, you’re probably not the only ones. 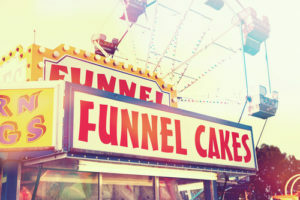 There are tons of amazing attractions to enjoy while in the Wildwoods, and even more events planned during the week and weekends to join in on. Whether you’re strolling down the boardwalk enjoying one of our three amusement piers—complete with over 100 rides and attractions—or want to attend one of the featured events over the weekend, you won’t ever be bored while in the Wildwoods! Don’t believe us? Just check out our community calendar! One of the best parts of the Wildwoods’ are the beaches! You’ll always enjoy free admission with plenty of room for your favorite beach activities. Not only can humans join in on the fun, but your favorite furry friend can too at our dog-friendly beach. Depending on the time of year, you’ll be able to enjoy and join many different events happening on and around our beaches. Every season we at Boardwalk’s Best get the opportunity to make new and lasting friendships with all of you. If it weren’t for our each and every one of you who visits our stores, we wouldn’t be able to do what we do. Our absolute favorite thing about on the Boardwalk is the opportunity to meet you and get to know your stories. Thank you for visiting us this year! 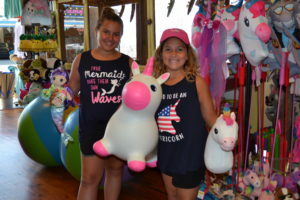 While you’re out enjoying all the unique shops, make sure you stop into Boardwalk’s Best for all of your beach needs. We have everything you need for a great day at the beach. Stop by today at one of our three locations.